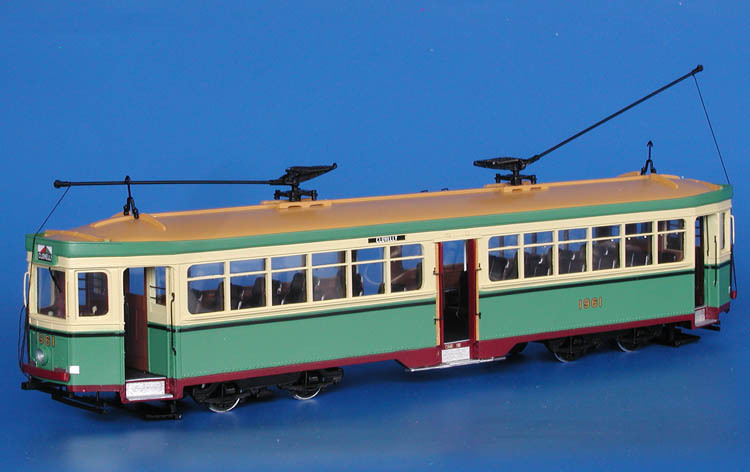 Model 1935/36 sydney clyde engineering co. r1-class tram (1938-1987 series). 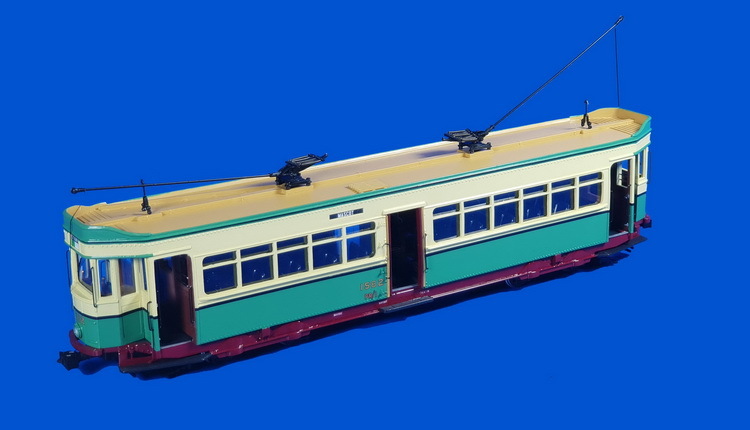 1935/36 Sydney Clyde Engineering Co. R1-class Tram (1938-1987 series). Last five cars of R-class (1933-1937 series) were built without two centre internal bulkheads and with only one centre door and enabled seating for 56. 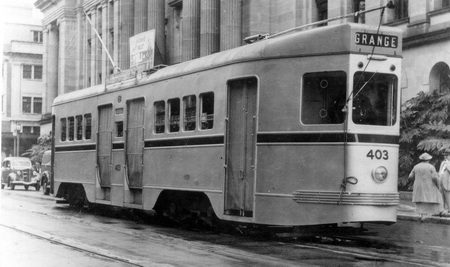 Car 1933 entered service in May 1935 and order for 50 cars of this type (called R1) was placed with altered window spacing and shorter drop centre section. They were built by Clyde Engineering Co. in 1935/36. 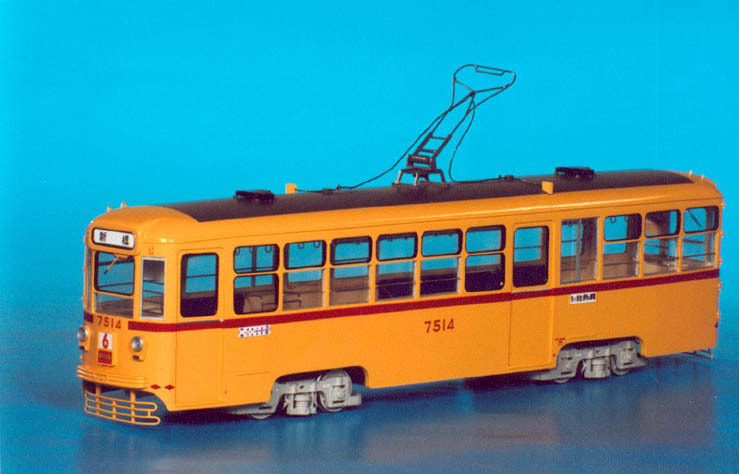 The pre-war R1s were allocated to Rushcutters Bay depot and their regular working was on the Watsons Bay Line. 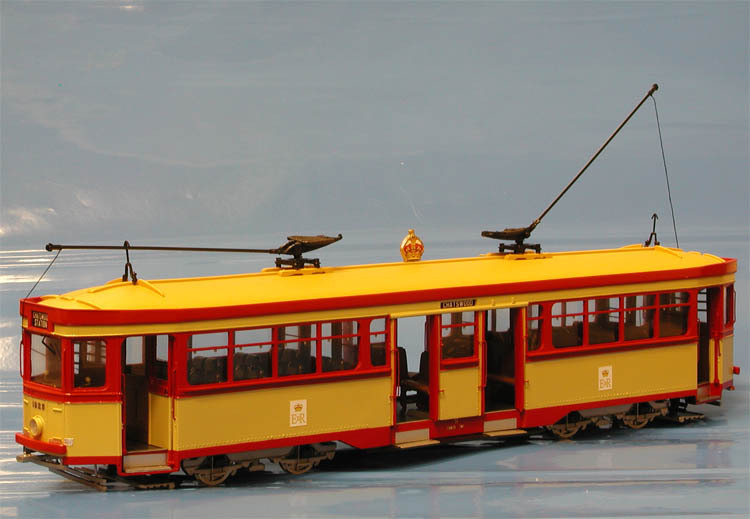 Three pre-war R1s were preserved: 1951,1971 and 1979, all at the Sydney Tramway Museum. 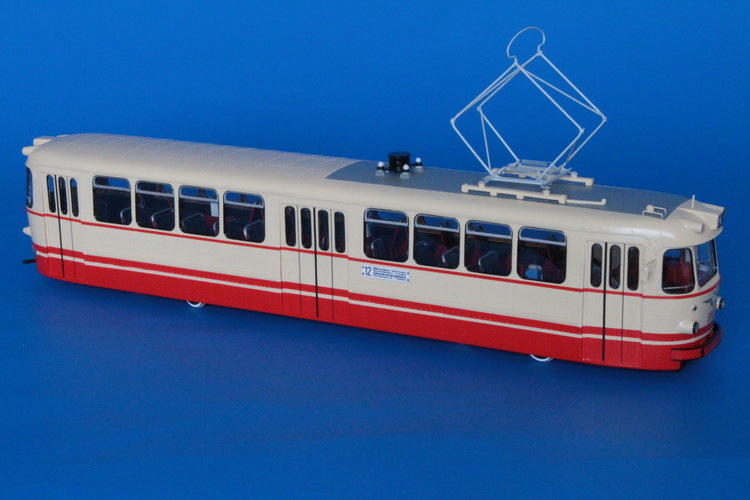 Leningrad LM-68 "Aquarium" PCC (car 9260) - in '1985 experimental livery. 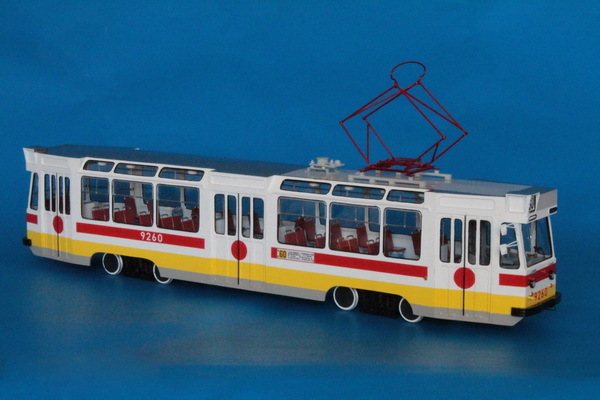 1938/40 Brisbane City Council Transport Department FM Tram (401-425 series) - Original livery.